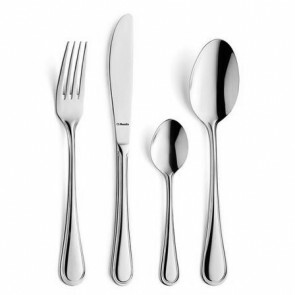 The Cutlery set is an essential part of the table setting! Composed mainly of forks, teaspoons, soup spoons and table knives, the cutlery set is usually stored in a wooden box. 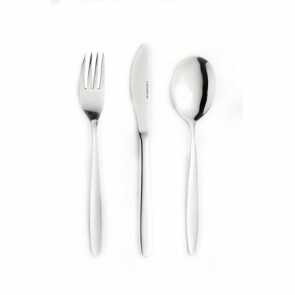 Larger cutlery sets sometimes include the dessert cutlery, fish cutlery or service cutlery such as pie shovel or ladle service. 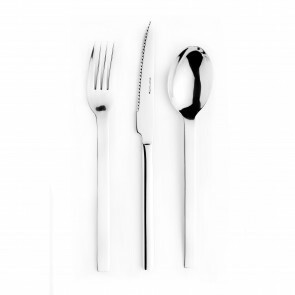 This eating utensil set is a must have tableware item for every gourmet. They are not only important to enjoy your meal, but they also embellish your tabletops. 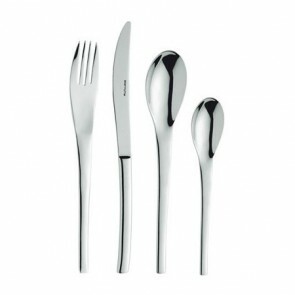 How to choose your cutlery set? 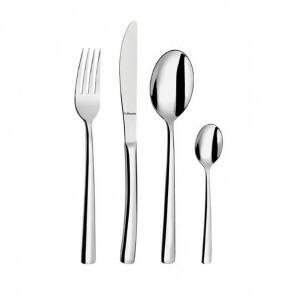 Flatware sets have a timeless charm which will transcend not only times but also fashions and trends. It is hence vital to make the right choice! 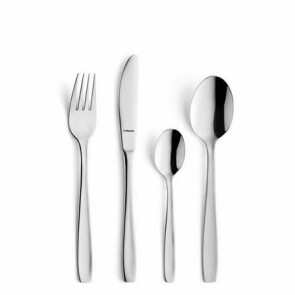 There are different cutlery set sizes and collections to adapts to your specific needs: from the small 18-piece set to the more than 100 pieces and AZ Boutique features a wide range choice of high-end cutlery sets for you to choose! At the time of Louis XVI, the cutlery set (silverware) was designed with noble materials such as solid silver, nowadays it is made in different types of materials such as stainless steel, silvery metal, white metal or even bi-material models add some passion and boldness to your table decoration. If you are a design and table scaping addict, you will surely want something more elaborate like the cutlery with subtle designs, carvings and elegant finishes! 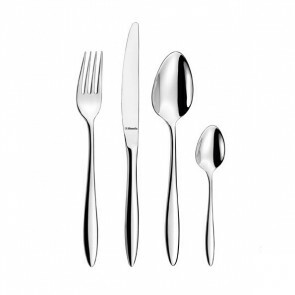 The mirror-polished stainless-steel cutlery will put a subtle sparkling mark to your table. 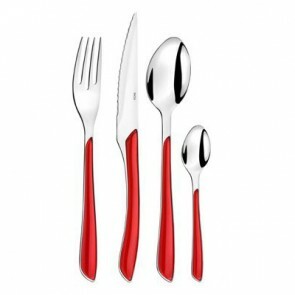 Think about interesting color combinations and the general outlook of the material before choosing your cutlery set. Choose a set that will not only complement your dinnerware set but also glam-up your table décor and room décor. 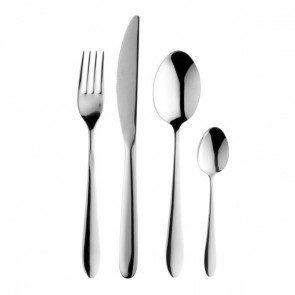 Ideally your cutlery set should combine handiness, sturdiness and aesthetics. If you are looking for some old-world elegance, select a silver metal flatware set which will bring some luxury to your special occasions table setting. 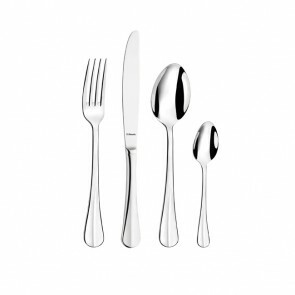 White metal cutlery will add a polished refined look to your table. If you want sturdiness, rust resistance and durability go for stainless steel! This material has been thoroughly tasted against rust, scratches and time and is excellent value for money! It will also give a contemporary flair to the tasting of your favorite dishes. 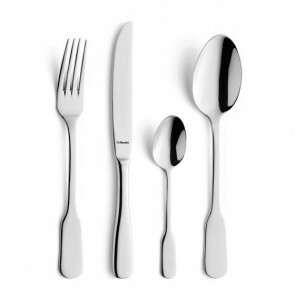 AZ boutique features a whole range of cutlery sets from popular brands such as Guy Degrenne, Pradel, Laguiole, Couzon, Bruno Evrard, Amefa, Victorinox and Bugatti! Quality and authenticity are guaranteed!